A hybrid invasive weed optimization and pattern search (hIWO-PS) technique is proposed in this paper to design 2 degree of freedom proportionalintegral- derivative (2-DOF-PID) controllers for automatic generation control (AGC) of interconnected power systems. Firstly, the proposed approach is tested in an interconnected two-area thermal power system and the advantage of the proposed approach has been established by comparing the results with recently published methods like conventional Ziegler Nichols (ZN), differential evolution (DE), bacteria foraging optimization algorithm (BFOA), genetic algorithm (GA), particle swarm optimization (PSO), hybrid BFOA-PSO, hybrid PSO-PS and non-dominated shorting GA-II (NSGA-II) based controllers for the identical interconnected power system. Further, sensitivity investigation is executed to demonstrate the robustness of the proposed approach by changing the parameters of the system, operating loading conditions, locations as well as size of the disturbance. Additionally, the methodology is applied to a three area hydro thermal interconnected system with appropriate generation rate constraints (GRC). The superiority of the presented methodology is demonstrated by presenting comparative results of adaptive neuro fuzzy inference system (ANFIS), hybrid hBFOA-PSO as well as hybrid hPSO-PS based controllers for the identical system. Ali E.S., Abd-Elazim S.M. (2011), Bacteria foraging optimization algorithm based load frequency controller for interconnected power system, International Journal of Electric Power & Energy Systems, 33, 633 – 638, 2011. Barisal A.K. (2015), Comparative performance analysis of teaching learning based optimization for automatic load frequency control of multi-sources power systems, International Journal of Electric Power & Energy Systems, 66, 67 – 77, 2015. Barisal A.K., Prusty R.C. (2015), Large scale economic dispatch of power systems using oppositional invasive weed optimization, Applied Soft Computing, 29, 122–137, 2015. Dolan E.D., Lewis R.M., Torczon V. (2003), On the local convergence of pattern search, SIAM Journal of Optimization, 14, 567–583, 2003. Elgerd O.I. (2000), Electric Energy Systems Theory - An Introduction, Tata McGraw Hill, New Delhi, India, 2000. Farhangi R., Boroushaki M., Hosseini S.H. 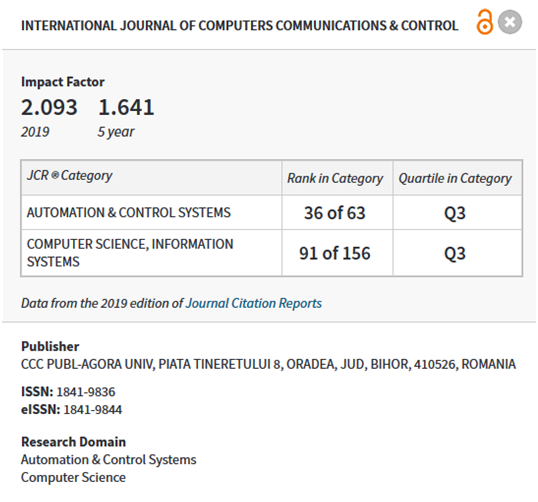 (2012), Load frequency control of inter- connected power system using emotional learning based intelligent controller, International Journal of Electric Power & Energy Systems, 36, 76–83, 2012. Gozde H., Taplamacioglu M.C. (2011), Automatic generation control application with craziness based particle swarm optimization in a thermal power system, International Journal of Electric Power & Energy Systems, 33, 8–16, 2011. Gozde H., Taplamacioglu M.C., Kocaarslan I. (2012), Comparative performance analysis of Artificial Bee Colony algorithm in automatic generation control for interconnected reheat thermal power system, International Journal of Electric Power & Energy Systems, 42, 167– 178, 2012. Karimkashi S., Ahmed A.K. (2010), Invasive weed optimization and its features in electromagnetics, IEEE Trans Antenna Propagation, 58, 1269-1278, 2010. Khuntia S.R., Panda S. (2012); Simulation study for automatic generation control of a multi-area power system by ANFIS approach, Applied Soft Computing, 12, 333–341, 2012. Kundur P. (2009), Power System Stability and Control, Tata McGraw Hill, New Delhi, India, 2009. Mehrabian A.R., Lucas C. (2006), A novel numerical optimization algorithm inspired from weed colonization, Ecological Informatics, 1, 355–366, 2006. Mohamadreza A., Hamed M., Roozbeh I.Z. (2012), State estimation of nonlinear stochastic systems using a novel meta-heuristic particle filter, Swarm Evolutionary Computation, 4, 44–53, 2012. Mohanty B., Panda S., Hota P.K. (2014), Controller parameters tuning of differential evolution algorithm and its application to load frequency control of multi-source power system, International Journal of Electric Power & Energy Systems, 54, 77–85, 2014. Naidu K., Mokhlis H., Bakar A.H.A., Terzija V., Illias H.A. (2014), Application of firefly algorithm with online wavelet filter in automatic generation control of an interconnected reheat thermal power system, International Journal of Electric Power & Energy Systems, 63, 401–413, 2014. Panda S., Mohanty B., Hota P.K. (2013), Hybrid BFOA-PSO algorithm for automatic generation control of linear and nonlinear interconnected power systems, Applied Soft Computing, 13, 4718–4730, 2013. Panda S., Yegireddy N.K. (2013), Automatic generation control of multi-area power system using multi-objective non-dominated sorting genetic algorithm-II, International Journal of Electric Power & Energy Systems, 53, 54–63, 2013. Rout U.K., Sahu R.K., Panda S. (2013), Design and analysis of differential evolution algorithm based automatic generation control for interconnected power system, Ain Shams Engineering Journal, 4, 409–421, 2013. Sahu R.K., Panda S., Rout U.K. (2013), DE optimized parallel 2-DOF PID controller for load frequency control of power system with governor dead-band nonlinearity, International Journal of Electric Power & Energy Systems, 49, 19–33, 2013. Sahu R.K., Panda S., Padhan S. (2014), Optimal gravitational search algorithm for interconnected power systems, Ain Shams Engineering Journal. 5, 721–733, 2014. Sahu R.K., Panda S., Sekher G.T.C. (2015), A novel hybrid PSO - PS optimized fuzzy PI controller for AGC in multi-area interconnected power system, International Journal of Electric Power & Energy Systems, 64, 880–893, 2015. Sahu, R.K., Panda, S.,& Gorripotu, T.S. (2016), Automatic generation control of multi-area power systems with diverse energy sources using Teaching Learning Based Optimization algorithm. Eng. Sci. Technol. Int. J., 19 (1), 113–134, 2016. Saikia L.C., Nanda J., Mishra S. (2011), Performance comparison of several classical controllers in AGC for multi-area interconnected thermal system. International Journal of Electric Power & Energy Systems, 33, 394–401, 2011. Sanchez J., Visioli A., Dormido S. (2011), A two-degree-of-freedom PI controller based on events, Journal of Process Control, 21, 639–651, 2011. Saravanan B., Vasudevan E.R., Kothari D.P. (2014), Unit commitment problem solution using invasive weed optimization algorithm, International Journal of Electric Power & Energy Systems, 55, 21–28, 2014. Shabani H., Vahidi B., Ebrahimpour M. (2012), A robust PID controller based on imperialist competitive algorithm for load-frequency control of power systems, ISA Transactions, 52, 88–95, 2012. Shayeghi H., Shayanfar H.A., Jalili A. (2009), Load frequency control strategies: A stateof- the art survey for the researcher, International Journal of Energy Conversion and Management, 50, 344–353, 2009. Wolpert D.H., Macready W.G. (1997), No free lunch theorems for optimization, IEEE Transactions on Evolutionary Computation, 1, 67–82, 1997. Xiao H. H. (2014), A novel hybrid optimization algorithm of pattern search and IWO, Applied Mechanics and Materials, 687-691, 1557-1559, 2014.